She was always doing something. They were never still, never empty. If it wasn’t a book or a child it was a bandage or a long spoon or a cigarette or a cup of coffee or a cold beer. But she loved her big books the reference books . She loved her nursing career with a passion and was facinated by the science and practice of Nursing. As a little girl that’s what she wanted to be involved with when she grew up, the medical field. I often think if she’d been supported by her family early on she would have become a Doctor without question. She had the love of medical practice and the character necessary to be a terrific physician. I can still remember years later when she recieved a reference work called a “PDR”, Physicians Desk Reference how delighted she was. It matched her treasured “Merck Manual of diagnosis and treatment”. 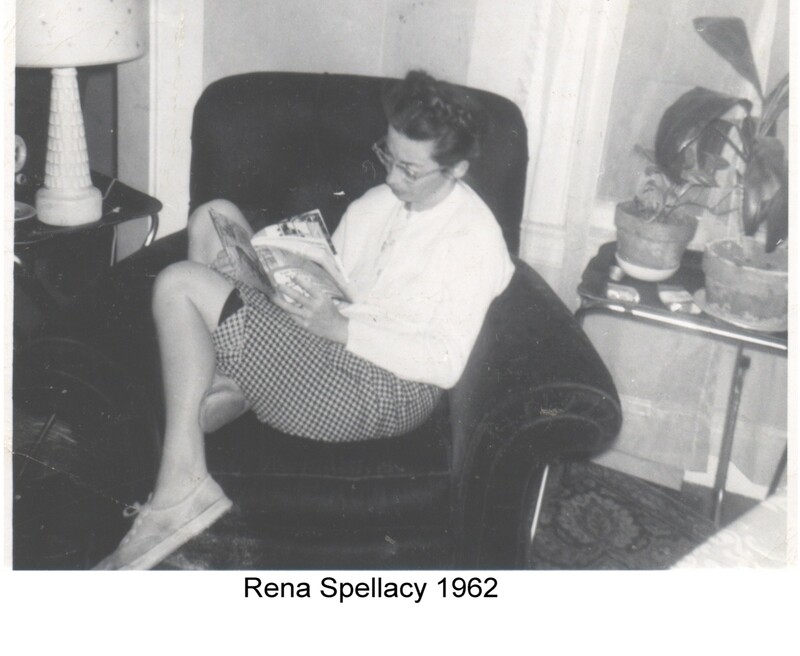 Rena May had the most amazing hands. They were hands with certainty, no fluttering faux feminine helplessness here. She was a grown woman with all the strength and stamina to protect and defend herself and 9 children, an adoring gregarious hard drinking and hard working husband with a multitude of family. She would take those itty bitty slender hands and help her sister Anne Rauckhorst and father Ed Brown run a fruit farm during the years of the second world war. And upon my fathers return from the Pacific she would use these hands to calm, wash, feed, diagnose, heal and discipline us children into adults that gave back to the world like she did with her nursing. 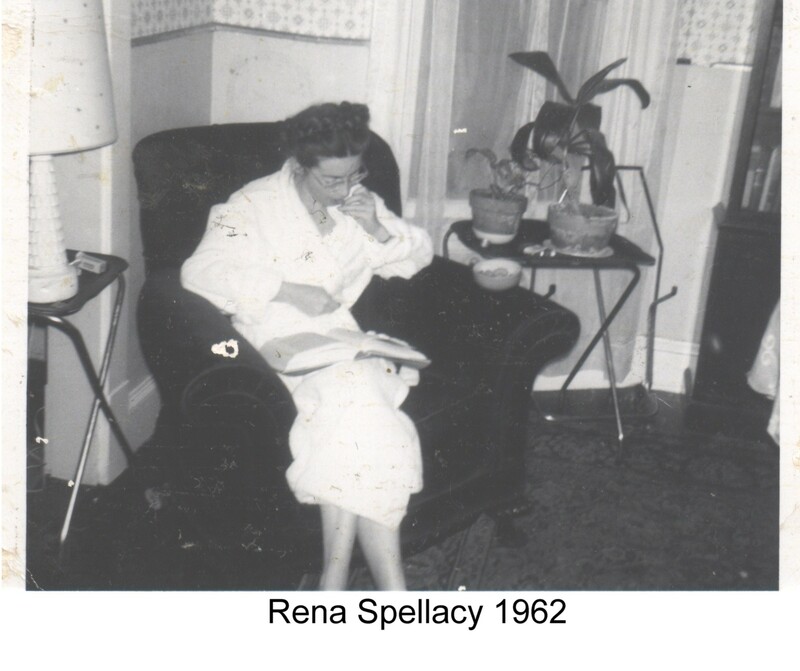 Among the children of Rena May you’ll find Caseworkers, Bailiffs, Nurses, Teachers, Electricians, Caregivers, Coaches, and a Probate Supervisor who connected whole families back together and keep current ones intact with her single-minded research and ability. She taught us with those long strong fingers to hold tight to hope, faith, love and laughter. And to show the back of your hand to liars, and phonies. My Mother’s religion was the Church of being present, the Church of Showing Up, of doing the right thing. Always. Without need for recognition. She had little to no use for organized religion. She was tough and single minded. Like the old Puritans and Quakers of old that she was decended from. 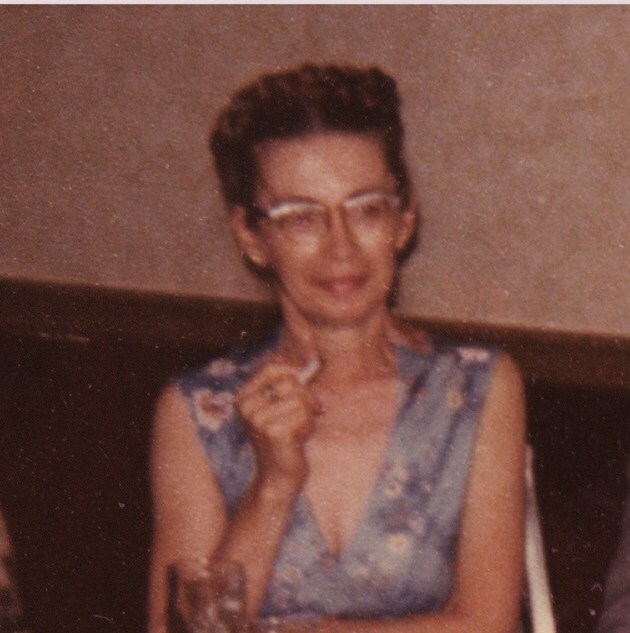 Though she never knew that during her lifetime I’m sure my research that tracks her Ticknor line back to Puritan Scituate, Massachusetts would have tickled her sense of humor and explained Grandma Babcock modesty pretty darned clearly. She’d have loved it. And I still love her and miss her lots, but I can see traces of her in my girl who is now a young woman with amazing grace surprising modesty for someone that beautiful and the strength of character like her Grandma Rena. And she has those same beautiful hands as my Mama. Wonderful life this one.now those hands are used to connect children to their parents and then whole families to those that might help their deaf children. Amazing life this one. Amazing people my family. This writing is such a compliment to Grandma and to me. Thank you so much for sharing these thoughts. I never thought I had any part of her like that. This means so much to me. I love you, Ma. It’s simply the truth, every day those very hands touch and change babies and mama’s and dad’s lives for the better and I love you so. You are so Rena May’s grand-daughter. love you. Thank you so much for your faith and support in my writing. It means so much to me that people understand what I write about and just how fortunate we all really are. You make that so simple. Love you.